There isn’t another city in the world that is remotely like San Francisco, California. Between old-fashioned cable cars and tiny streets lined with bright-colored Victorian homes, San Francisco has one of the most distinctive looks of any city in the world. While it might seem overwhelming to do everything the city has to offer, rest assured that everything you do will be worthwhile. If you’re into the outdoors, consider taking a surfing lesson at Ocean Beach, renting a one-man kayak at Pier 40 or taking a hike at The Presidio. Boasting some of the most iconic urban hikes in the world, The Presidio features numerous routes and 8 scenic overlooks that will give you an incredible view of the city. If you want another amazing view of the city, consider taking a trip over to the Golden Gate Bridge, perhaps San Francisco’s most iconic landmark. Though the prison closed in 1964, Alcatraz Island is another famous landmark that any first time visitor should consider essential to check out. After all that outdoor activity, it’s time to eat. It’s no secret that the city was built in large part by foreign immigrants, and the outstanding food scene is a direct result of this. Visit the Mission District if you want to eat an authentic street carne asada burrito the size of your head. If you’re more into Chinese food, San Francisco’s Chinatown is like nowhere else. Bustling, narrow streets are filled with Chinese vendors selling knick knacks as delicious smells waft from every open restaurant. And who can forget San Francisco Sourdough bread? 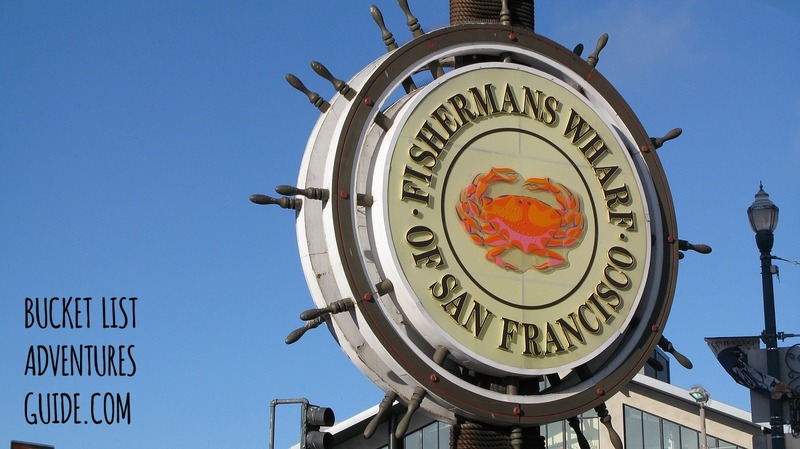 Head down to Pier 39 for a hot bowl of fresh clam chowder served in a still-warm bread bowl for one of the most authentic San Francisco meals you can possibly have. But good luck finishing the whole bread bowl – it’s big. To work off your delicious lunch or dinner, consider taking a long walk through the city. You’ll encounter steep urban hills unlike anything you’ve ever seen. Lombard Street is perhaps one of the most famous streets in the entire world, featuring a zigzagging, shrub-lined route that attracts thousands of people every year. At any given moment you are sure to see several people driving the route and other observers taking pictures. Other famous streets include Haight Street and Castro Street, hotbeds for some of the most important and historical culture in the city. Hippies and beats gathered around Haight Street in the 60s and 70s to read poetry and protest the Vietnam War. Signs of the past still remain on Haight Street, with head shops and counter-culture book stores lining the walkways. Castro Street is most famous for being the epicenter of San Francisco’s famous culture. Taking a walk down Castro Street is a sure way to meet some of the most vibrant and unique people in the entire city. Atomic gastronomy is an investigation of logical standards where gourmet experts investigate the physical and compound changes of fixings. Think powdered nourishment, deconstructed dishes and heavenly froths. Atelier Crenn eatery in San Francisco is an expert at making a pail list commendable “bleeding edge” tasting menu. Despite the fact that it happens regularly, rolling over the Golden Gate connect still inspires me. Be that as it may, what is much more exciting is taking a bike ride over this celebrated San Francisco structure. You can bring your own bicycle or effectively lease one close-by. With more than 8,000 square feet of trampoline space, House of Air gives the ideal space to an anxious session of dodgeball. You can go along with one of their week by week classes or bounce into the hourly dodgeball sessions amid Open Jump. This historical center is home to a standout amongst the most finish accumulations of Asian craftsmanship on the planet, with a gathering crossing society from Turkey to India and China to the Philippines through 6,000 years. Through giving rich workmanship encounters, the gallery endeavors to start associations crosswise over societies and through time, while touching off interest, discussion, and imagination. Would a “Things to Do in San Francisco” list really be finished without having “Take a Cable Car Ride” on it? The Cable Car is a San Francisco symbol, conveying innumerable sightseers here and around its lofty slopes. Although it is one of the urban community’s most prevalent attractions, it is a convenient type of transportation taking people to numerous attractions around town. San Francisco may only stretch across 7 miles, but it’s packed with an assortment of activities that’s sure to please outdoorsy types, foodies and curious wanderers of all ages. 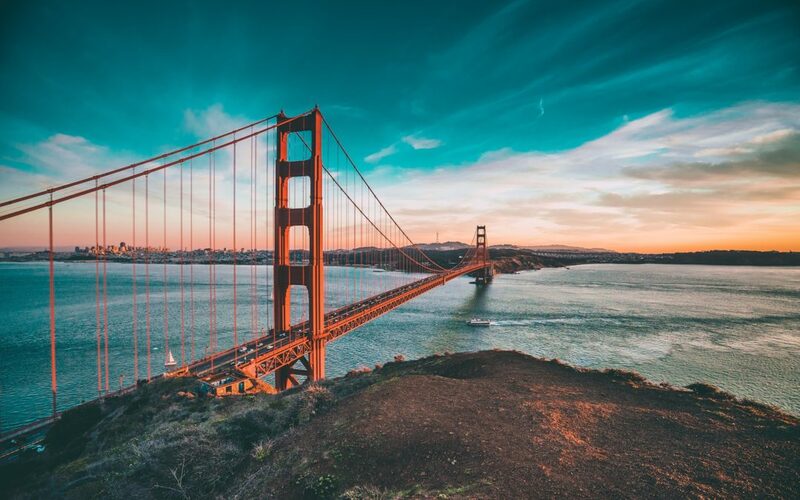 The Golden Gate Bridge is a must-see, while a visit to Alcatraz Island to tour the infamous and now closed federal prison should also be high on your list. Instead of spending all your time around the touristy Fisherman’s Wharf, you can discover a more authentic side of San Francisco by grabbing a bite at the Ferry Building Marketplace or with a visit to the vibrant Castro. And whether it’s climbing to the top of Twin Peaks or sauntering through Golden Gate Park, active types and nature lovers will find plenty to love about San Francisco.